This library is a genealogist’s dream. The collection, boasting more than 1,500 reels of microfilm and nearly 2,000 volumes of books, is the culmination of more than 50 years of work and maintenance. The library also offers children’s story hours and activities and meeting space available for community use. 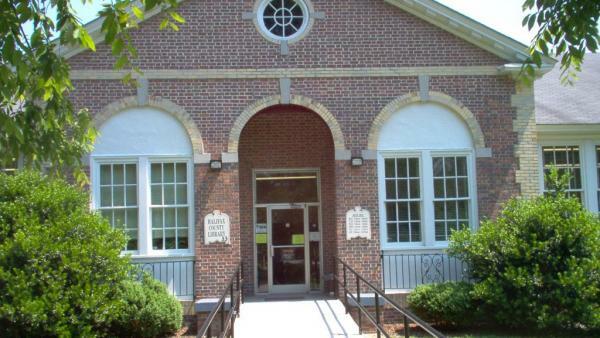 There are also other public libraries nearby in Roanoke Rapids, Littleton, Scotland Neck, Weldon and Enfield. Monday & Wednesday: 8:30 a.m. - 6:00 p.m., Tuesday, Thursday, Friday: 8:30 a.m. - 5:00 p.m., Saturday: 9:00 a.m. - 12:30 p.m.